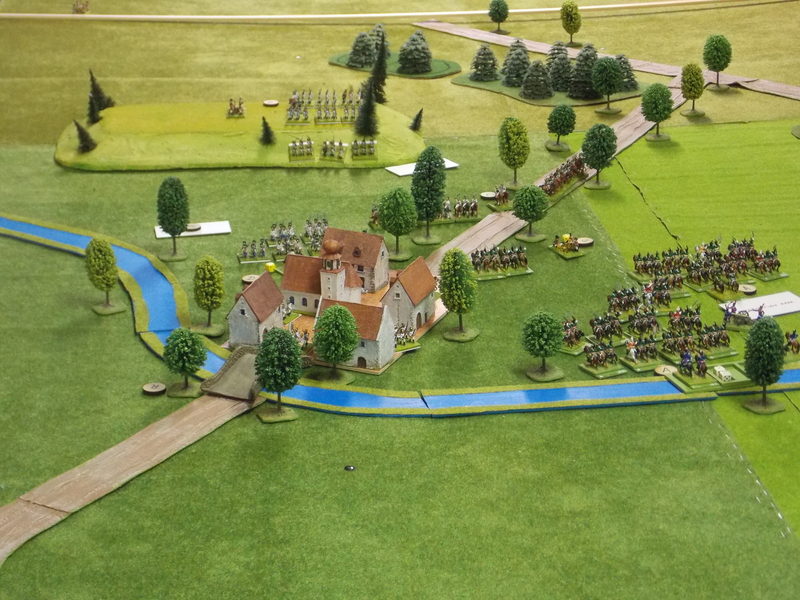 We had our first playtest of the Et Sans Résultat – or ESR2 – Napoleonic rules in the Wargamorium last night. As this was our first attempt we did not manage to finish the game in one night but it remains set up until next week. A very positive and enthusiastic reaction so far. Very nice thanks for the write up!